What to do on a winter’s Saturday afternoon? So began the great Glenelg bake off, a duel of scones at thirty paces. 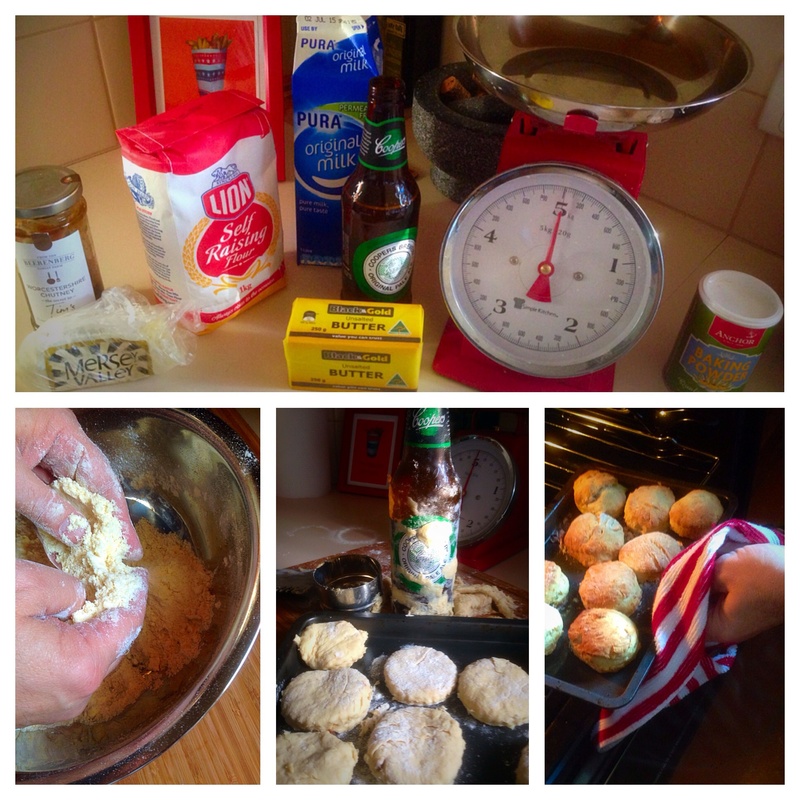 I checked a blog called My life in Scones and knew instantly what to do. 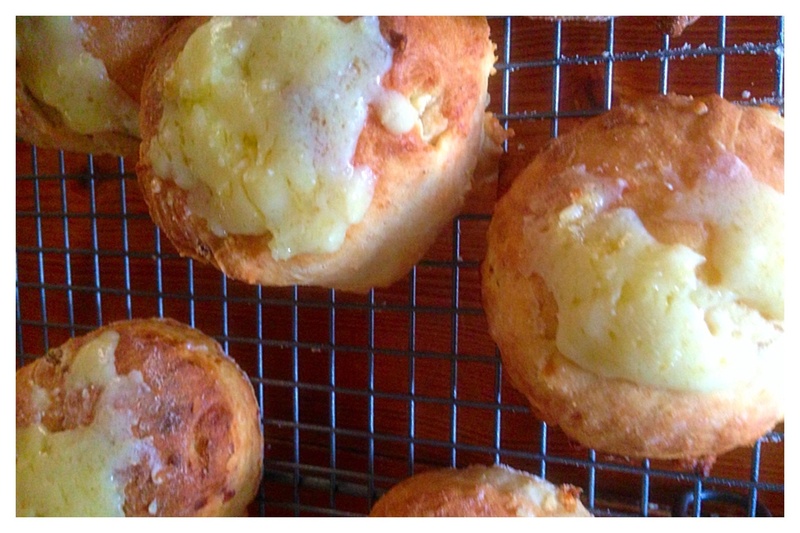 I chose to customise my scones with mature cheddar cheese and South Australian Beerenberg Worcestershire chutney. To be honest, it’s all we had in the fridge. Assembling the ingredients prior to baking, I realised I had a baking tray but not other implements. So a brief break allowed me to nip to Homebasics and Design on Jetty Road for a cooling tray, a bowl and a pastry cutter. Entering the shop and looking generally confused, I was accosted by the shop keeper, keen to help me. I explained my need for scone-making paraphernalia. A brief discussion ensued on how many scones I was baking and the appropriate size of stainless steel mixing bowl I would require. I confessed to being a scone-baking virgin and the lady was keen to offer further advice. What sort of scones? Had I heard of lemonade scones? I said I had but I half-lied about making ordinary plain scones, promising I would graduate to more exotic ones later. She explained the recipe for lemonade scones and I’m sure, if I had pressed my case, would have come home and baked them for me. But then that wouldn’t be a fair contest. Back home and mixing in my new bowl, all was going well until I had to roll the dough when I realised we had no rolling pin. That’s when beer came to rescue, providing the perfect excuse to drain the bottle to use as a makeshift baking implement. All rolled out and panic stuck- I’d forgotten the baking powder! Fortunately the recipe had specified self-raising flour and so it was straight into the oven (180ºC for 15 minutes) and fingers crossed. They came out looking nicely browed with a lovely fluffy centre. Could be a bit more cheesy? That’s when the GF suggested melting some cheese on the top. I guess I’ll have to give her a few bonus points for the suggestion and await the verdict of the judges. See the result here. Mix all but milk. Add milk slowly to make dough. Leave for 10 mins. Roll and cut and place on greased baking tray. Fan oven 180º for 15 mins. If desired crumble cheese on top and cook for 2 more minutes.